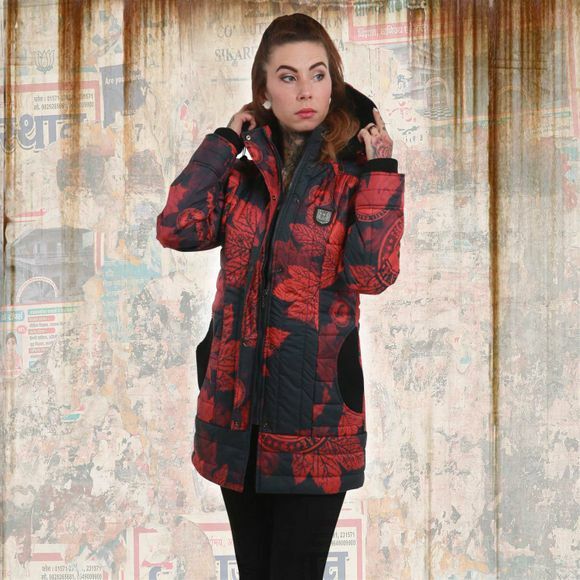 YAKUZA DAILY USE women' hooded jacket with zip-up front. Jacket with zip-up front, high neck and drawstring hood and two front pockets. Sleeves made of supersoft faux leather. 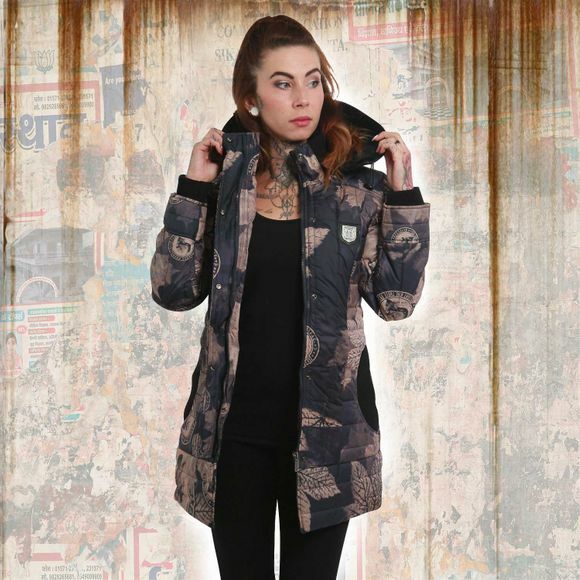 The jacket is finished with contrasting panels and vintage print designs as well as logo tabs on chest and near hem and a Yakuza leather tab on side seam. Extremely comfortable to wear thanks to supersoft cotton. Slim fit, thats why it’s slightly smaller. Please watch out for our size specifications and the washing instructions below.